It is necessary for most people to own a DVD ripping tool because they like to download videos from sites rather than purchasing the videos or a Blu Ray when they want to see movies. But for most users, it is not easy to find such DVD ripping tool which can rip videos fast and effectively. Therefore, in this article, I will introduce a good DVD ripping program called WonderFox DVD Ripper Pro to you. It can not only remove any DRM protection, along with region code protection but can also rip DVDs to lots of formats, such as AVI, MPG, MP4, FLV, SWF, WMV, MKV, MOV, M4V, ASF, DV, 3GP, 3GP2 and so on. Besides, this software supports all encrypted DVD and can copy protected DVD. 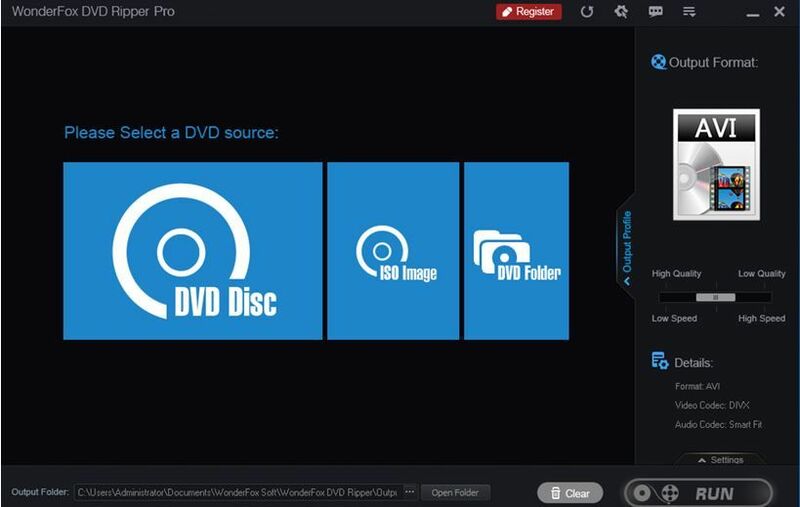 Furthermore, WonderFox DVD Ripper Pro has the ability to intelligently detect correct titles of ripped videos and remove advertisements and trailers automatically. What Should You Consider If You Want to Use a Ripping Tool? If you want to use a DVD ripping tool, you should take the following things into consideration. Firstly, you must pay more attention to the ripping speed because no one is willing to spend much time to rip a DVD or rip DVD rental. As to the ripping speed, WonderFox DVD Ripper Pro is really the fastest rapper. You can rip a 150 minutes DVD to an MP4 format within 20 minutes without any quality loss. Secondly, you should think about the quality of your DVD in the process of ripping DVDs. With WonderFox DVD Ripper Pro, there is no need to worry about the quality of your DVD. The reason is that this ripper is able to compress videos to a much smaller size without really losing any quality. And this software can remove things, like region codes. Maybe you do not know what is region code, but you should know that movies are locked in different regions, which means whether you can play certain movies on certain DVD players is decided by the region code. Now that this ripper can remove the region code, so you can watch movies at your pleasure. Although the decryption isn’t really necessary in a DVD ripping software, it’s better to own this decryption technology. First, you need to have a DVD on hand and you need to load this DVD into your PC via its optical drive. If you do not have an optical drive, you can draw support from a USB. No matter how you do it, you need to make it to where your computer could play the DVD. Then you need to make sure that you have your copy of Wonderfox DVD Ripper Pro fully downloaded and ready to go. Second, after you start up this software, you can click the “Load DVD” button from the top of the screen and select the DVD from your PC. 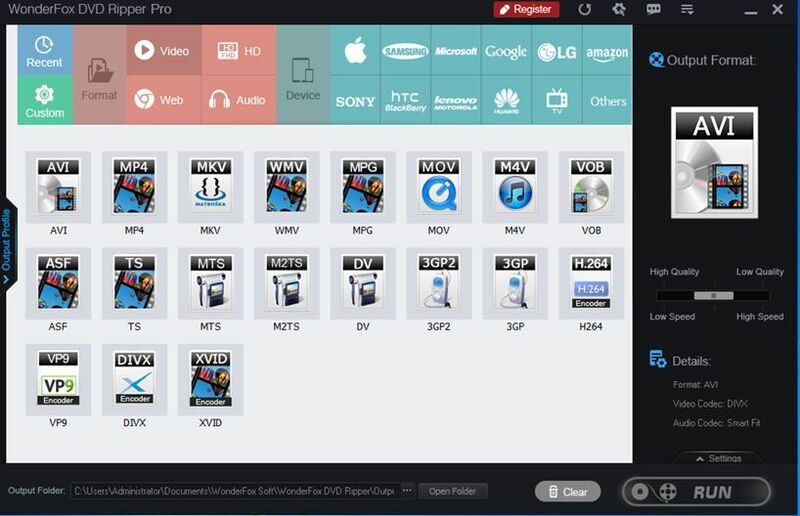 Then, WonderFox DVD Ripper Pro can intelligently detect the main titles of your videos or TV shows from 99 titles, which can save up time for you. Once it is done, you can choose the output format you want. If you’re overwhelmed by the options here, you can choose the mp4 format, such as ISO to MP4because this format is a kind of the standard format for digital videos. It’s a good and safe choice. Once that’s selected, you can click the ‘Run’ button to the lower right of the screen. And the converted file will be placed in the output folder at the bottom of the window. After you have an understanding of using WonderFox DVD Ripper Pro, you may want to know whether this software is worth using and buying or not because this ripper pro is not free. Therefore, I will introduce the benefits of this ripping tool to you. First of all, this software has a fast conversion speed and a smaller size. It takes up less space. If you worry about the storage space, you can have the aid of a cloud storage service which can store your movies for free and the cloud storage service is very convenient to you. Then, if you still hesitate to use or buy this software, you can consider what you can do without such multifunctional ripping tool. You will purchase a digital version of every physical movie or television show that you already own through iTunes or Amazon by yourself. Even if you purchased what you want, you have to use iTunes or Amazon to access them because of the DRM. If you have a very large physical collection, this will add up very quickly to a bill that costs a lot more than $29.95. Besides, you can use the trial version of this software to have a try. If you buy this software, you can enjoy 30 days money back guarantee. WonderFox DVD Ripper Pro had updated to version 9.5. Many functions were added to it. This software is very simple to use due to its interface and it can help you back up your DVDs. If you are interested in this software, you can get it through its product page. If you have any confusion about how to use it or have any other question about this software, you can contact WonderFox’s support team.